Put it on your calendars. The first issue of the anticipated BRKT: On Farming is being released as we speak and three of the authors included in the volume currently reside in Texas. This is one of only a few scheduled releases of the issue around the world, so if you’re in the Houston area October 21st will be your chance to meet the authors, (hopefully) buy a copy of BRKT and engage in the ground-breaking content. See you then! Download a flier here. Bracket is a new book series that highlights emerging critical issues at the juncture of architecture,environment, and digital culture. 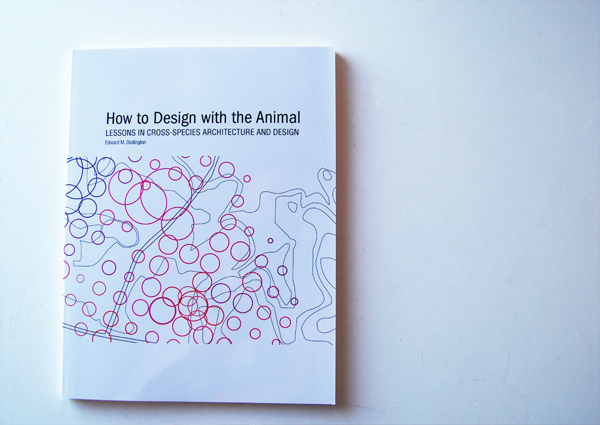 Conceived as an almanac, the series looks at emerging themesthat are shaping the built environment in radically signifi cant, yet often unexpected ways.“On Farming” looks at the capacity for architecture to address ideas and issues of productive landscapes and urbanisms. Once merely understood in terms of agriculture, today information,energy, labour, and landscape, among others, can be farmed. Farming harnesses the efficiency of collectivity and community. Whether cultivating land, harvesting resources, extracting energy ordelegating labor, farming reveals the interdependencies of our globalized world. Simultaneously, farming represents the local gesture, the productive landscape, and the alternative economy. The processes of farming are mutable, parametric, and efficient. Farming is the modification of infrastructure, urbanisms, architectures, and landscapes toward a privileging of production. 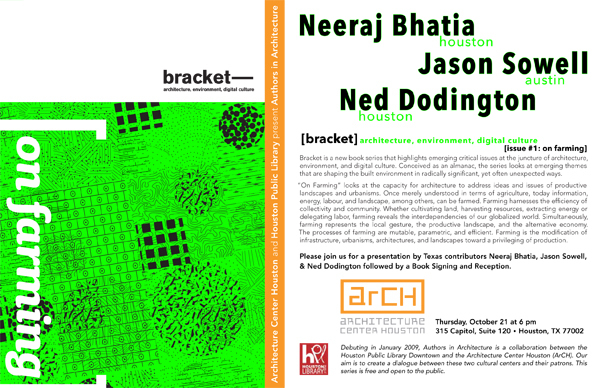 Architecture Center Houston and Houston Public Library present Authors in Architecture. Please join us for a presentation by Texas contributors Neeraj Bhatia, Jason Sowell, & Ned Dodington followed by a Book Signing and Reception.